Seattle officials have ordered the removal of homeless camps along the Spokane Street corridor in Sodo after a Tuesday fatal shooting. 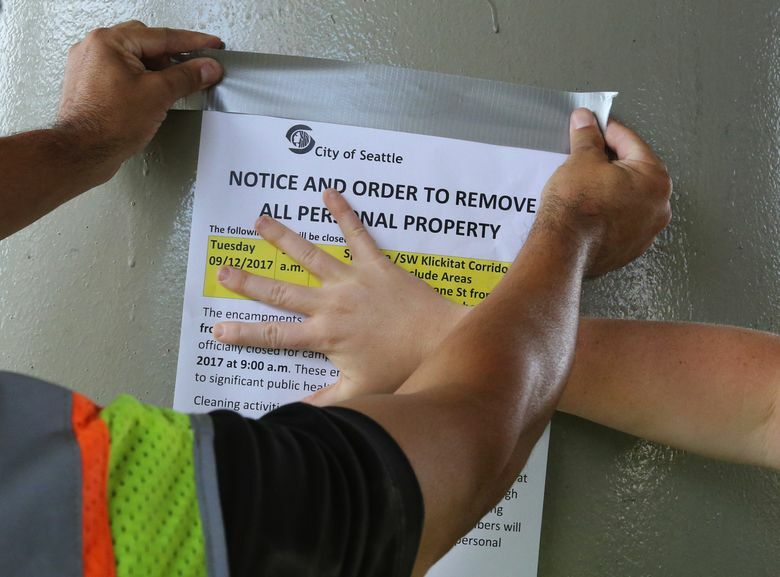 With a debate over Seattle’s approach to parking enforcement for people living in cars and motor homes looming, city officials have ordered one of its largest remaining homeless encampments closed. Officials with the Seattle Department of Finance and Administrative Services (FAS) announced the move just hours after a 31-year-old man was shot to death Tuesday inside one of the dozens of tents and vehicle camps clustered along the Spokane Street corridor in Sodo. 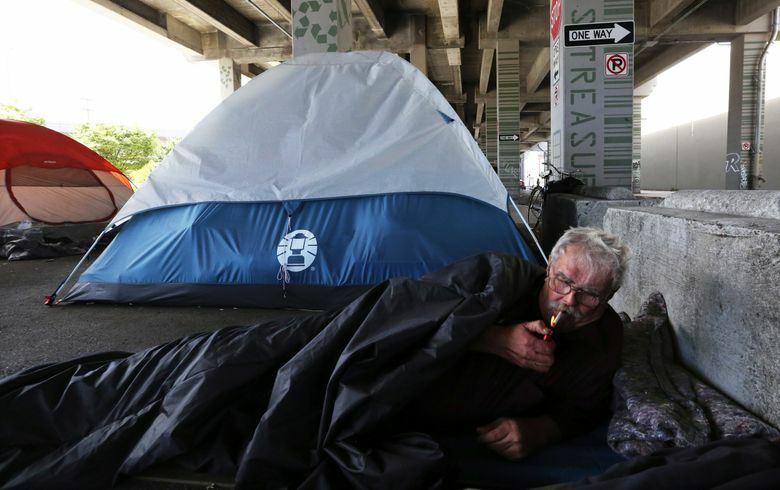 The city’s homeless-navigation team — a task force made up of social workers and Seattle police — will spend the next few weeks reaching out to people still making camp near the viaduct. 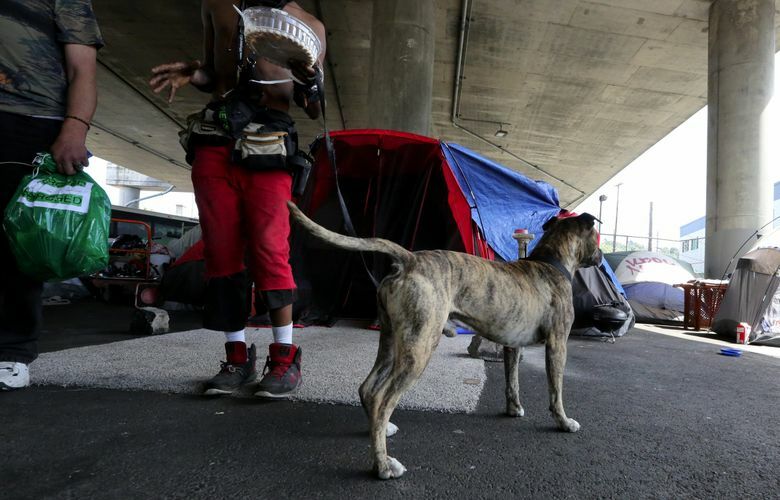 The goal is to connect them with services and help them find alternatives to living on the streets. A FAS spokesperson said outreach teams on Wednesday saw about eight vehicles parked along Spokane Street that are being used as residences. Campers who decline offers of housing and service will be expected to obey applicable traffic laws, including rules about moving vehicles every 72 hours, they said. But city officials admit that space in area housing facilities remains limited. The recently opened Navigation Center for the homeless is nearly at capacity. The center, a 75-bed emergency shelter, was designed partly as a destination for people residing in local homeless encampments. In a blog post, city officials said that both the Union Gospel Mission and Salvation Army have committed available beds for people moving out of the Spokane Street area. A second 24-hour shelter opening next week could handle the overflow, officials said. 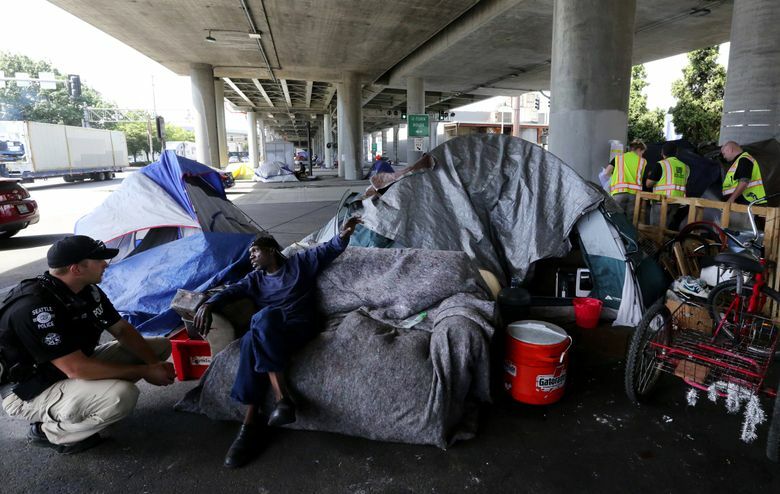 Suzanne Sullivan, spokeswoman for operator Compass Housing Alliance, said the 100-bed shelter in Seattle’s First Hill neighborhood will begin receiving clients on August 31. The decision to close Spokane Street camps comes just weeks after city Councilmember Mike O’Brien introduced a proposal to revamp how the city tackles issues related to people living in vehicles. Under Mayor Ed Murray’s Pathways Home, the city has revamped its outreach to the homeless. Since February, its teams have reached 1,157 people, with 721 accepting some sort of mental-health, drug-treatment or housing service. Just over 400 relocated to alternative living arrangements. But previous plans to provide parking lots to accommodate vehicle dwellers and address residents’ safety and health concerns fell apart amid rising expenses. A 2017 count of homeless in Seattle found an estimated 1,550 people living in the city inside cars and motor homes. An early version of O’Brien’s ordinance calls on the city to create a program to target services for them and relax ticketing for participants. 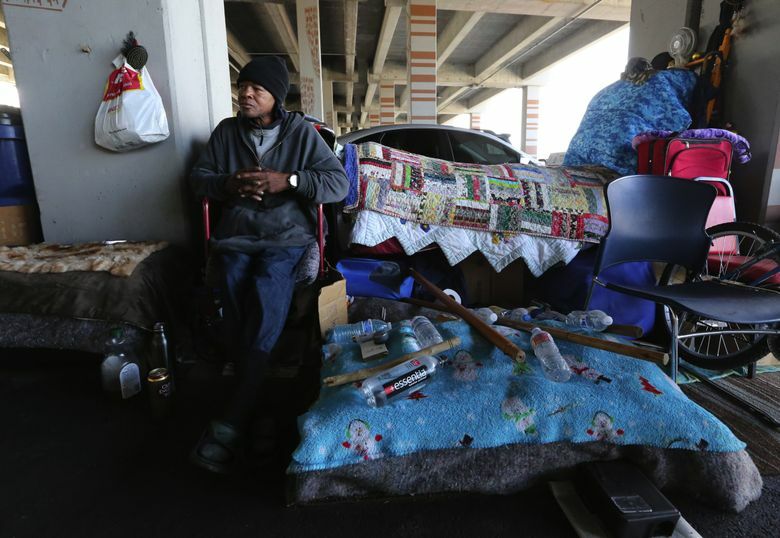 Despite city efforts, large numbers of motor-vehicle dwellers and others continue to make camp underneath and nearby the Spokane viaduct. As word of the pending closure spread around the camps Wednesday, several said they’d move if it involved a permanent home. Others said temporary shelters aren’t often equipped with parking lots for their vehicles. Salim Ambral, a former restaurant manager, said he became homeless in 2016 after being laid off. The 2013 motor home he inherited from an uncle now serves as his primary residence, he said. A large section of the Spokane Street underpass was closed to campers in April after an early-morning fire destroyed two motor homes parked there. City officials have not yet said if any additional areas of the underpass will be similarly fenced in. The removal is scheduled to begin Sept. 11.